So yet again England has disappointed in sport. 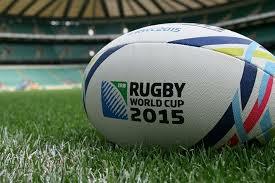 This time it is the Rugby World Cup and our humiliation is compounded by the fact that we are hosting the tournament. I don’t know why anyone would be remotely surprised at Saturday’s crushing defeat – after all, we specialise in losing and we do losing well. It’s not just in rugby but in almost any sport – time and time again, the England team promise, the nation expects and the team fails to deliver. That said we are nothing if not loyal to our sporting teams. I sat there on Saturday for 80 long minutes watching the disintegration of a nation’s hopes and the rather gratifying (to me) immediate drop in the value of tickets for the quarter finals. I sat there and watched despite the fact that I don’t really have a clue what is going on. It got me thinking about the sports that my children play and I realised that there are quite a lot of perplexing things about the sports they play – things I just don’t really get. So what about rugby? To my mind rugby is nothing more than legal brawling. It is thirty men (yes, I know women play too) who instead of pushing and shoving outside a pub on a Saturday night are permitted to push and shove on a pitch. It is a sort of grown-up version of that very aggressive playground game we played as kids “Red Rover” (remember?). The rules are so unnecessarily complicated in order to disguise the fact that it is nothing more than a fight with an oddly-shaped ball. Then there is the scrum. I don’t get it – the ball goes in and then seems to come out in exactly the same place? The only long-term gain from a scrum seems to be the gradual and rather fascinating mutation of the ears to resemble cauliflowers. I also have a problem comprehending why “conkers” – that highly dangerous, physically intensive autumn sport – is now banned in many schools on the ubiquitous “health and safety” grounds but rugby is allowed to continue. As every mother will know, watching your son play rugby is a heart-in-mouth occupation which is accompanied by the absolute certainty that your son – particularly if he is vertically or/and horizontally challenged – will be injured at some point in the season. If I could book my appointments at A&E for three months ahead, I would do so for every match day. If I can’t use my appointment because miraculously my son has come through that match unscathed, there will always be someone else on the team who can. It’s not just rugby that I find a little incomprehensible – the same goes for football and cricket. Take football – how can a game which has a fairly high probability of ending after 90 minutes in a 0-0 draw be a good game? Why would anyone run around a pitch for that amount of time for no positive scoreline? It just doesn’t seem very well thought-out to me. If women had invented football there is no way that we would have created a game which can go on for that length of time, remain scoreless or a draw and then end in a brutal penalty shoot-out where the poor player who misses his penalty is doomed to a life in pizza adverts in which he is derided for his penalty miss for ever more. Compounding the pointlessness of the game, is the even more pointless punditry which accompanies it on TV – a group of men looking awkward in too tight-fitting suits, sweating under the studio lights, struggling to string a cogent sentence together and repeatedly resorting to the infuriating clichés of “it’s a game of two halves” (no s*** Sherlock) and “at the end of the day”. I know it is a sacrilege to say in this country but for me watching a football match is 90 plus minutes of my life that I’ll never get back. The other thing about cricket which is clearly of male design is the colour of the kit. White. Yes, someone thought it was a good idea to play a game which involves sliding on grass, in white clothing. This was either some brilliant marketing ploy to make millions for washing powder manufacturers or sheer stupidity. I suspect the latter. This entry was posted in General Musings and tagged cricket, Dodgeball, England, football, rugby, rugby world cup, Sports. Bookmark the permalink.